If you want to make people more healthy, you need to combat disease. To combat disease effectively, you need to know where it is lurking. Getting good information on the location of disease (this is often called disease surveillance) can be really difficult, especially in developing countries. Take a look at your computer. 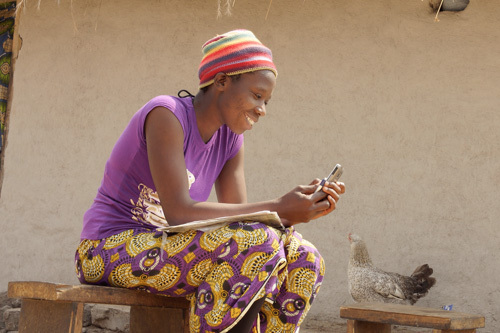 Most people living in rural regions of developing countries haven’t used a computer before. So using computer programs to collect data in rural areas isn’t really a feasible idea. But mobile phones, on the other hand, are literally everywhere. Not everyone has a fancy smartphone, but almost everyone has a basic feature phone like the one in the photo below. 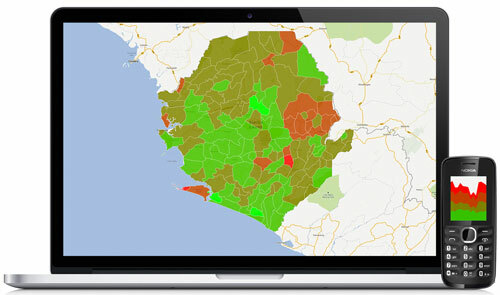 To maximize sustainability, Akros adapted data collection and analysis tools for mobile phones. Does it work? You bet it does. 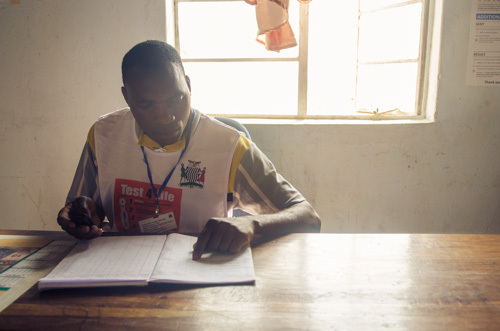 Akros has developed and deployed mobile phone data collection applications that are being used by several thousand rural villagers all over Zambia: community-level malaria monitoring, community-level sanitation monitoring and health facility data acceleration. Program managers are elated: we are now getting robust data rapidly from the most granular levels in the political hierarchy. Even more, Akros has developed and deployed mobile phone tools for cross-sectional surveys, keeping data collection nimble, accelerating both the transmission and aggregation stages of surveillance, and facilitating quick dialogue between administrators and surveillance proxies. So now, communicating data from rural villages to central levels and back, a process that previously took months, now happens in minutes. In our efforts to continually pass on the knowledge, Akros hosts courses on the DHIS2, a flexible and highly customizable piece of software, integrating a robust mobile phone surveillance module, clean data visualization tools and vast integration capabilities with reporting engines and other database applications. Click here to visit the DHIS2 training web site.